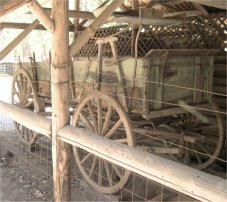 Shed protecting wagons and stagecoaches. In 1864, the Yosemite Valley and Mariposa Grove of Giant Sequoias were granted to California as a public trust. 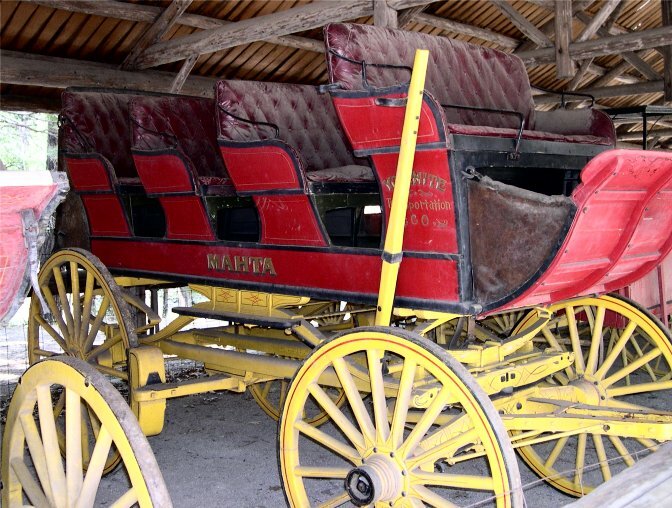 At first, travel into these areas was only on foot or horseback. 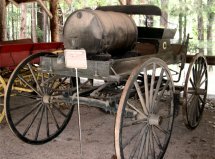 But soon, nationwide and local improvements in transportation, such as the transcontinental railroad (1869) and stage roads into Yosemite Valley (1874), made travel more practical. 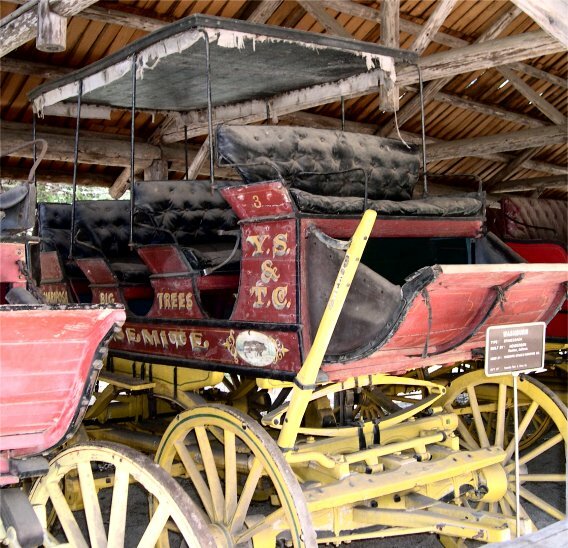 The Pioneer Yosemite History Center’s collection of restored and authentic stagecoaches represents early travel to the Yosemite region. After a train-ride from San Francisco to the terminus in the small foothill town of Raymond, Yosemite was still a two-day ride by stage. The stage trip was a bruising one, and one which left passengers covered with a fine coat of dust. The stage drivers were literally the “Kings of the Road,” commanding respect from all their passengers as they navigated the rocky roads, the hair-pin curves, and dealt with the occasional bandits along the route. Mud wagon. 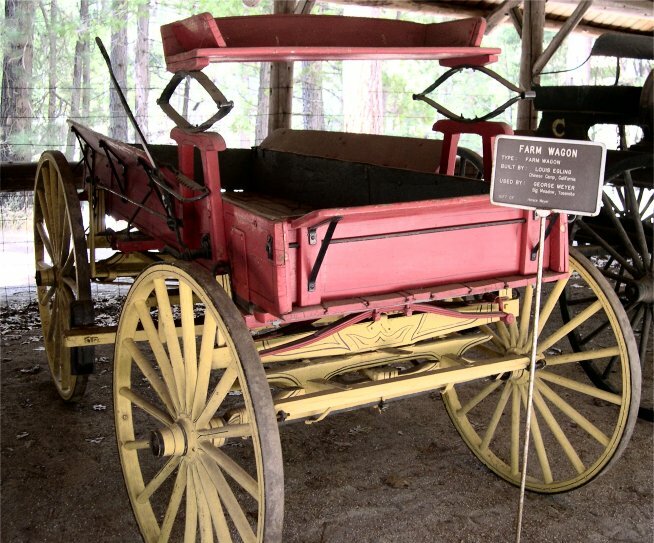 Mud wagons were lighter and faster than stage coaches, which were completely enclosed. Built by Henderson, Stockton, California. Used by Yosemite Stage & Turnpike Co. 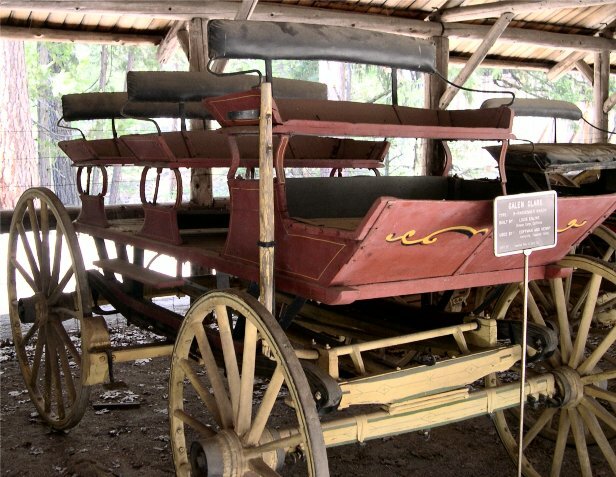 Gift of Yosemite Park & Curry Co.
11-passenger mud wagon. Built by McDonald, Merced, California. Used by Stoddard Stage Lines, El Portal to Yosemite. Gift of Horace Meyer. 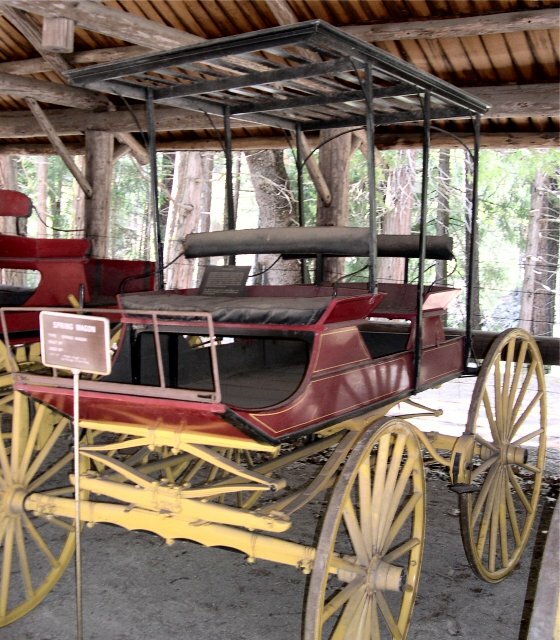 Built by Joe (Boy) Ashworth, Washburn Shops, Wawona. Used by Washburn Brothers. 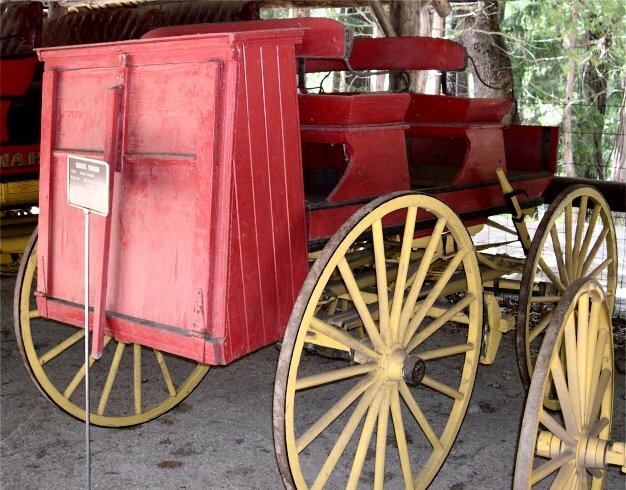 Gift of Yosemite Park & Curry Co.
Spring wagons were the pickup trucks of yesterday. Light loads were transported conveniently in the box. Some models featured a slip-in rear seat for times when the cargo was extra people. Except for the lack of a tip, this type reminds one of a modern station wagon. 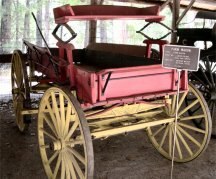 The term spring wagon refers to the combination of steel springs on which the box and seat are mounted. 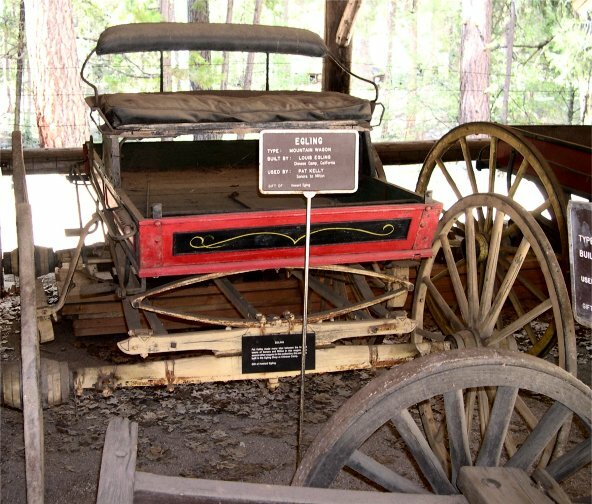 We believe this particular spring wagon was brought into Yosemite by pioneers Bob McGregor & Frank Ewing. Built by Louis Egling, Chinese Camp, California. Used by George Meyer, Big Meadow, Yosemite. Gift of Horace Meyer. Used by National Park Service. 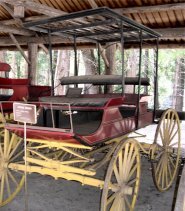 8-passenger wagon. Built by Louis Egling, Chinese Camp, California. 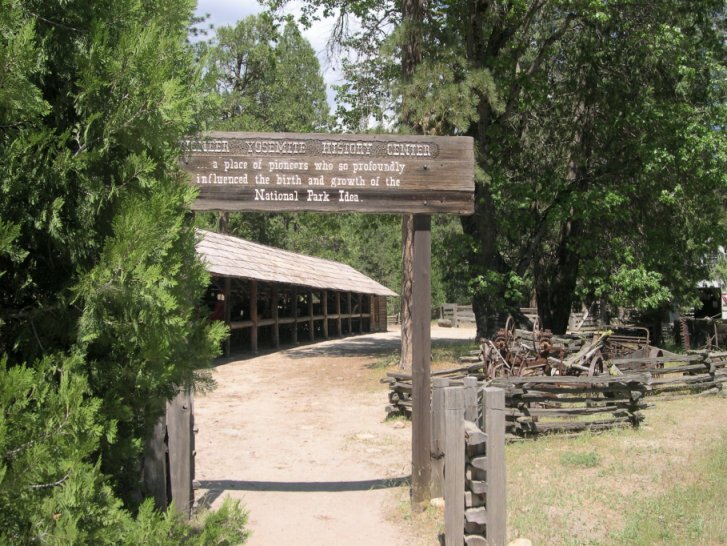 Used by Coffman and Kenny, Kennyville, Yosemite Valley. 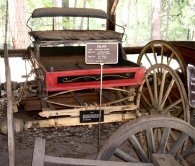 Gift of Yosemite Park & Curry Co.
Mountain Wagon. Built by Louis Egling, Chinese Camp, California. 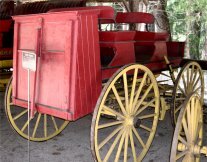 Used by Pat Kelly, Sonora to Milton, California. Gift of Howard Egling. 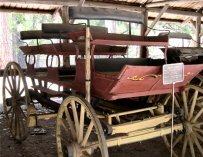 Pat Kelley made many trips between the towns of Sonora and Milton in this wagon. This one was built in the Egling Shop at Chinese Camp. Buckboard. Built by Studebaker, South Bend, Indiana. Used by Jack McGurk, Madera Co. Rancher. 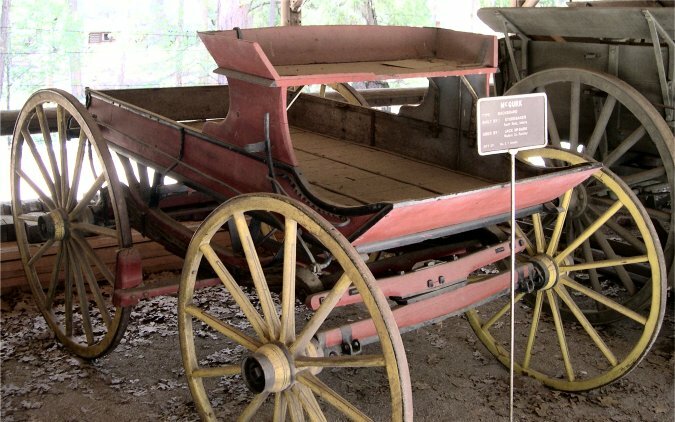 Heavy capacity wagon drawn by a mule team. Used to move heavy, slow freight long distances overland. 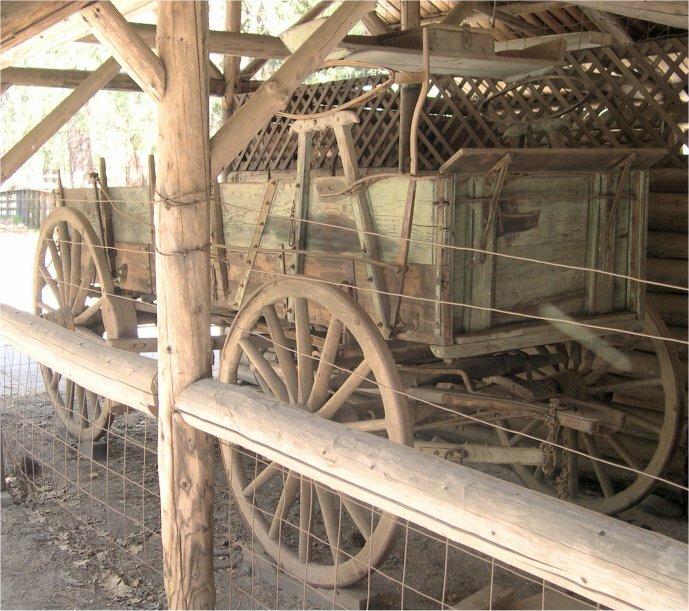 Carl P. Russell, “Stagecoach Days,” One Hundred Years in Yosemite (1947) discusses stages and mud wagons. Copyright © 2005 by Dan E. Anderson. All rights reserved.